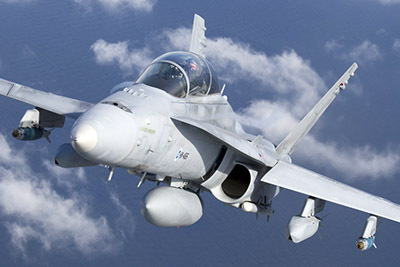 Turku Airshow – June 15-16, 2019 is the main airshow event in Finland 2019. Airshow is organized by Turku Flying Club with support from Finnish Air Force and Finnish Aeronautical Association. Turku Airshow is 100th Anniversary Airshow of Finnish Aeronautical Association (FAA). FAA has 100th anniversary year 2019 and President of Finland Mr. Sauli Niinistö is the patron of the anniversary year. Turku Airshow will honour the 75th Anniversary of the end of the Continuation War and the importance of air arm to Finnish Independence. Also 2019 will be the 80th anniversary of the start of WWII when Winter War started. The annual main airshow is the biggest aviation event each year in Finland. Airshow is organized every year in different city / airport to cover the whole country. The main airshow returns now to Turku after four years. Previous shows were at Turku 2015 and 2011. Finland’s main annual airshow is also the main annual airshow for Finnish Air Force, Army Aviation and Border Guard. Therefore the airshow is organized with close co-operation with them. The previous Turku Airshow was organized in 2015, starring Turkish Stars, Swedish Gripen,USAF C-17A, Finnish F/A-18 Hornet and Midnight Hawks to name few participants. From the link ESIINTYJÄT you will see participants information announced at the moment. Come and see! Saturday and Sunday June 15-16, 2019 gates are open 10:00 am to 6:00 pm (10:00-18:00 local time). Flight display program is very similar on both days, just small adjustments. Note: from Stockholm ferry local bus line number 1 runs directly to airshow area via City Center. Bus line 1 runs from City Center all day almost non-stop to Airport.. From Railway station is some 400 meters to Bus Station and line 1 goes from City Center via Bus Station to Airport. Line 1 highly recommended. Flying in with general aviation aircraft - instructions will be available in April.